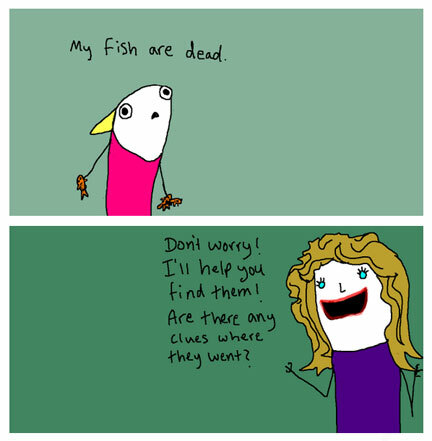 Allie Brosh captures the essence of depression for so many in her cartoons. My favorite part is her story about having dead fish. Ohh, how many times that has happened to me. Allie, I hope you’re doing well. You’ve offered to so many such wonderful humor about a dark place. You could only do that if you also knew that place. All the best.